This year’s entry from D.R. 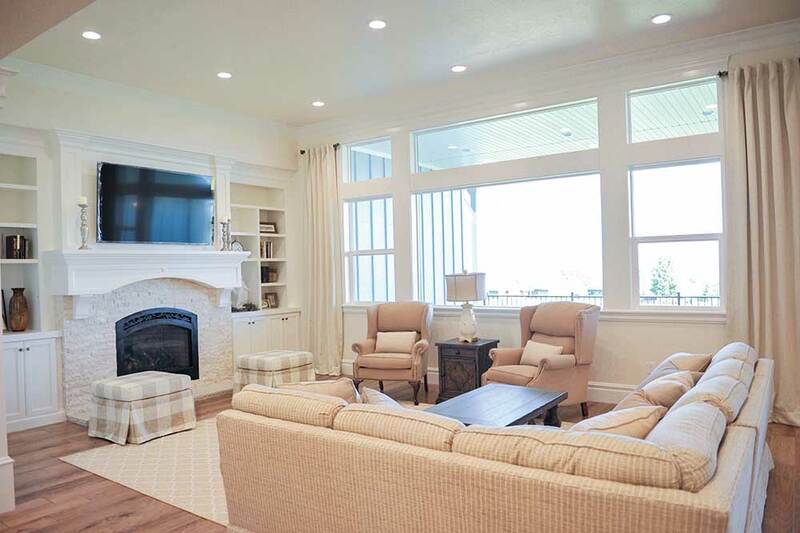 Horton featured a spacious lot, unobstructed mountain views and a fireplace with modern flair. This Salem home by Miller Construction Specialists is an empty nester’s dream with an open layout and custom built-ins. 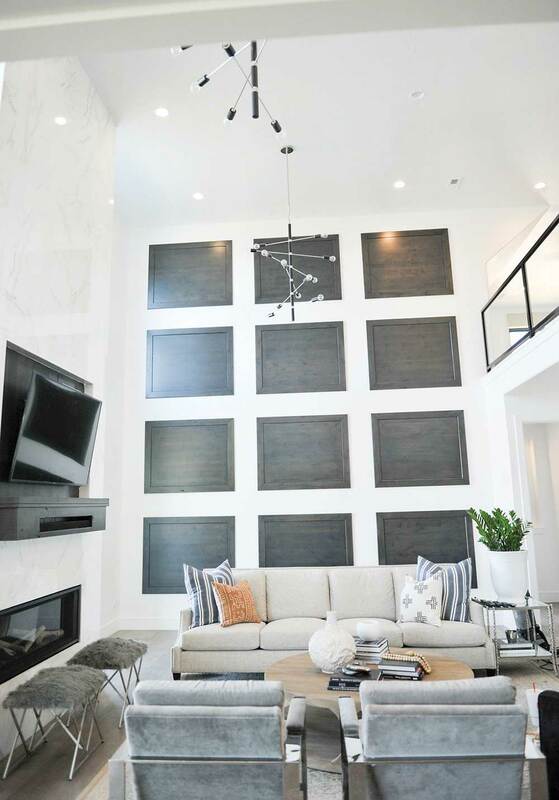 First-year participant Suited Custom Homes made a splash with “The Bachelor Pad” located in Mapleton. The 7,780-square-foot home includes seven bedrooms, four bathrooms, a home gym and a unique music room with floor to ceiling glass walls. 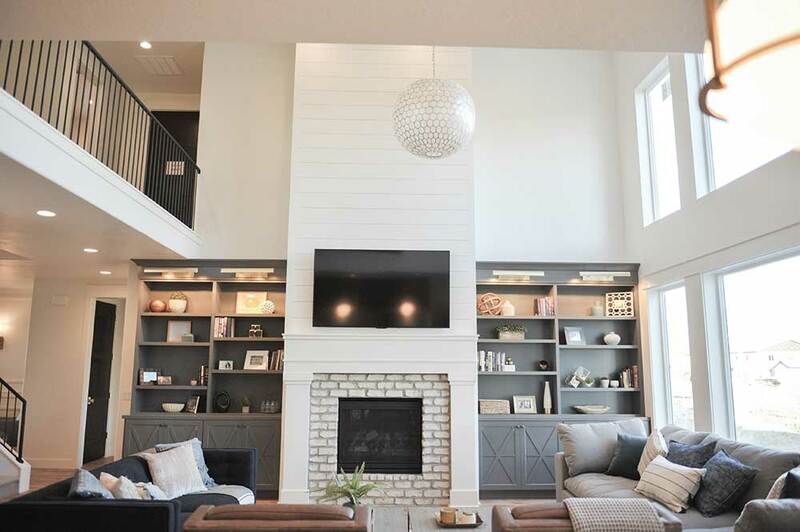 We love the way Mitchell Dean Homes mixed clean lines and painted brick in the fireplace to create a focal point for the entire room. 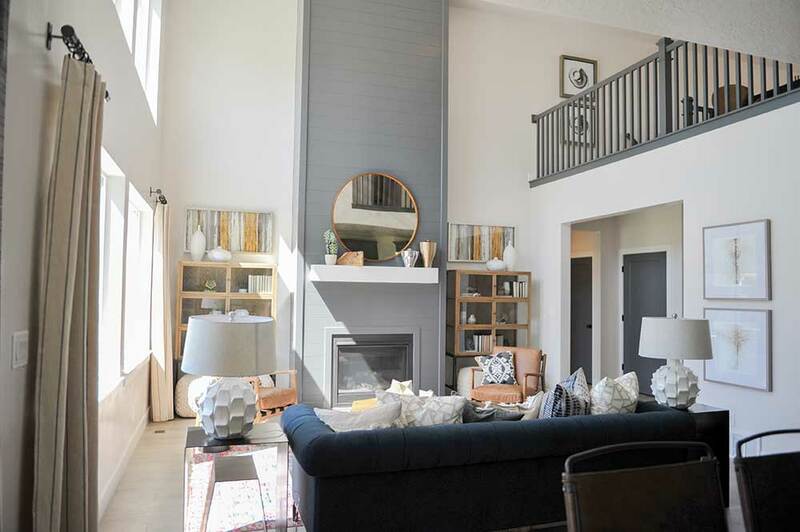 The home is in Lehi, which was home to seven of the parade’s 33 homes in 2018.